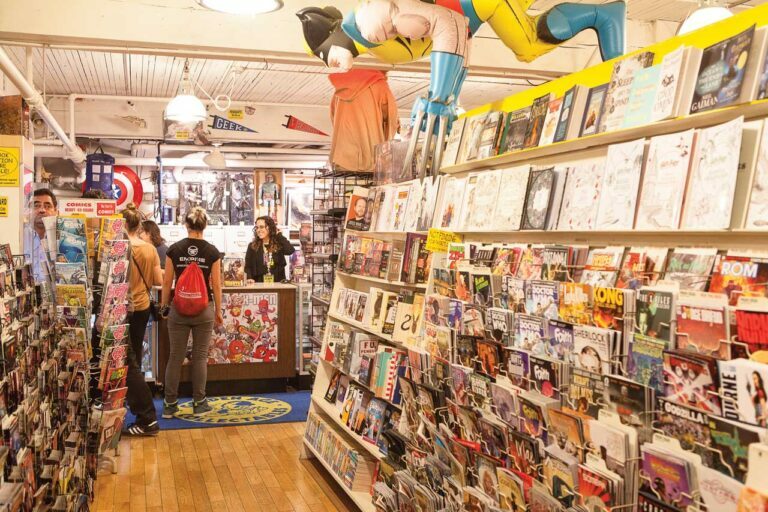 With museums about computers, pop culture, and pinball—not to mention an epic comic convention—Seattle has something for every teen. Earn some computing cred at Living Computers: Museum + Labs (*2245 First Ave S; livingcomputers.org), a mecca for all things tech. Visitors can tinker with robots, test out virtual reality, see vintage mainframes, and learn about self-driving cars in this collection assembled by Microsoft cofounder Paul Allen. museum.com) in the Chinatown–International District. Teens sip sodas (parents, you can order a beer) while playing 50-plus classic pinball games. For some more mainstream fun, venture to the Museum of Pop Culture (*325 Fifth Ave N; mopop.org) or MoPOP. Exhibits cover everything from grunge and rock music to sci-fi, fantasy worlds, and TV favorites. As an added bonus, a free TeenTix (teentix.org) pass allows your teen a discounted $5 day-of admission into MoPOP.